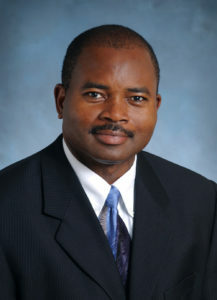 Casimir Akoh, Distinguished Research Professor of Food Science and Technology, recently accepted the Institute of Food Technologists’ research award recognizing food science’s ability to improve public health. The IFT awards committee presented Akoh, who researches lipid chemistry in the College of Agricultural and Environmental Sciences food science and technology department, with the Babcock-Hart Award on July 15 at the IFT’s annual conference in Chicago. The award honors scientists who have developed technologies that have substantially improved public nutrition and public health. Akoh has received seven research achievement awards and recognitions from IFT, including the top research award, the Nicolas Appert Award.